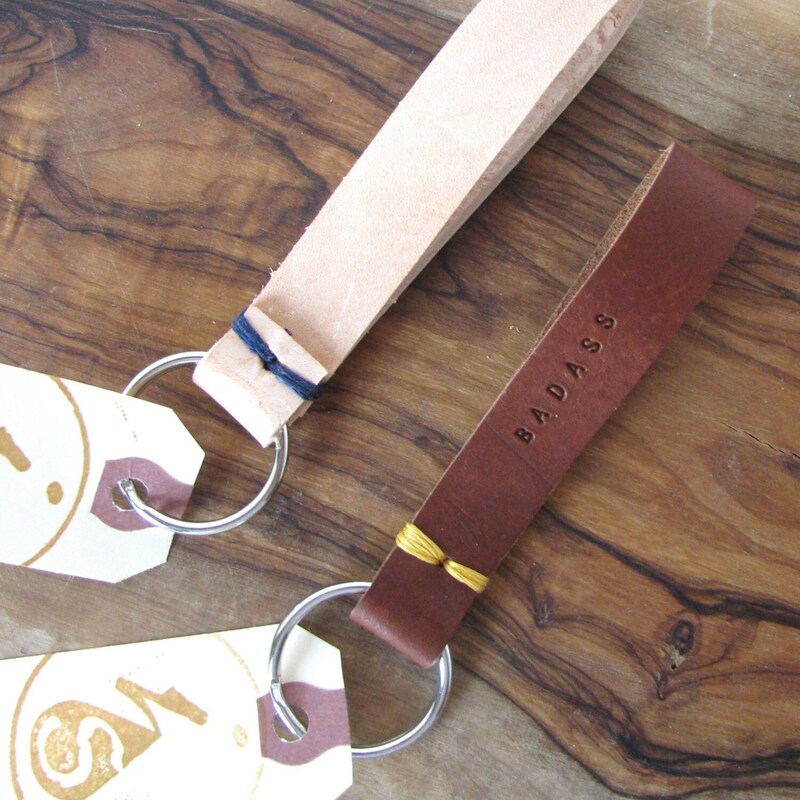 A handcrafted key chain that gets better with age. 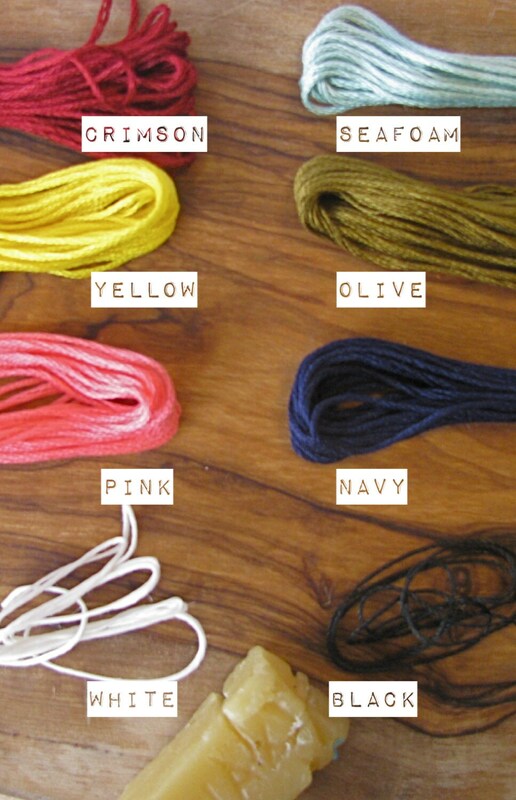 Hand-cut leather, hand-stitched in your choice of waxed thread. 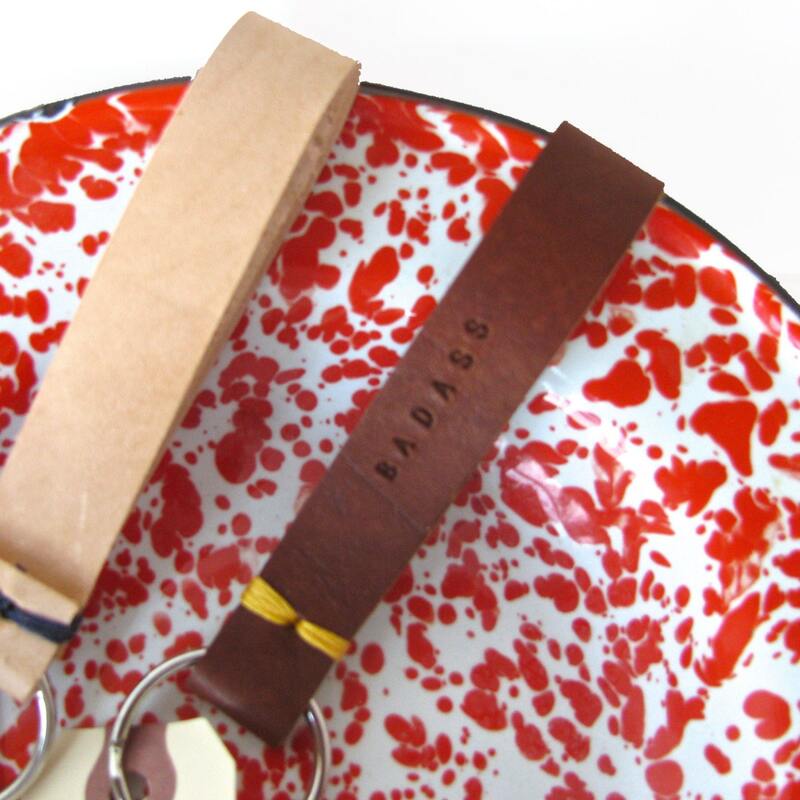 Hand stamped with the word "BADASS"
OR... stamp the date or name of your choosing (UP TO 15 CHARACTERS PER SIDE).